Welcome to the Jungle of Ecuador! One of the main attractions in Ecuador is visiting the Amazon basin in the East of the country. There are many different lodges and areas which you can visit and the area where you want to go also determines the travel time to get there and the way how to get there. 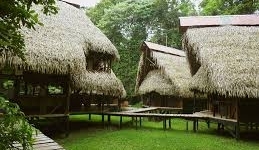 Jungle Ecuador is owned by Elwotravel and we can help you find the best jungle experience for you! We offer lodges in different areas for different prices, just how you like it! 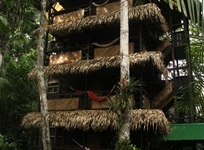 For more information and questions please contact us at: info@jungle-ecuador.com. Price from (p/p): $ 260.00 Find out more! Price from (p/p): $ 750.00 Find out more! Price from (p/p): $ 650.00 Find out more!